Ant Away™ is safe to use near children, pets and food preparation areas. It contains only essential oils and water. 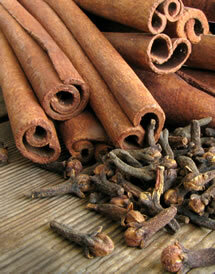 It's nontoxic and smells pleasantly spicy, from cinnamon and clove. Simply mist where you see the ants travel--on countertops, windowsills, floors, and doorways. Spray Ant Away as often as you like. It may take 4-5 days for ants to give up and go elsewhere. Our only note of caution is to test our product for staining on absorbent surfaces. Why does it work? Ants use scent to communicate, laying trails of pheromones to direct colony members to the food they’ve found. Ant Away masks their communication trails so they can't exchange information. It’s like us trying to have a conversation at a Metallica concert. Ant Away meets the requirements for minimum risk pesticides exempted from FIFRA regulations (Federal Insecticide, Fungicide, and Rodenticide Act), under the United States Environmental Protection Agency. We're not happy Ant Away must be classified as a pesticide. "Cide” implies killing and we're only sending them on their way. In this NPR report, learn how one species of house ant, Tapinoma sessile, has been exploding in population. Clove, cinnamon, and cassia essential oils make Ant Away smell great. “Because we use Ant Away, we don’t have ants in our kitchen anymore and we’re not worried about ants living around our house. Each bottle of Ant Away counts as 1 bar toward our free bar offer. Soap is what we’re famous for. Why not add a few varieties to your order? The shipping cost will not be more.